Ref: 1. Railway Board's letter no. 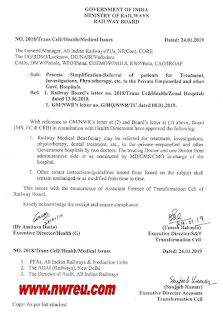 2018/Trans cell/Health/Zonal Hospitals dated 13.06.2018. 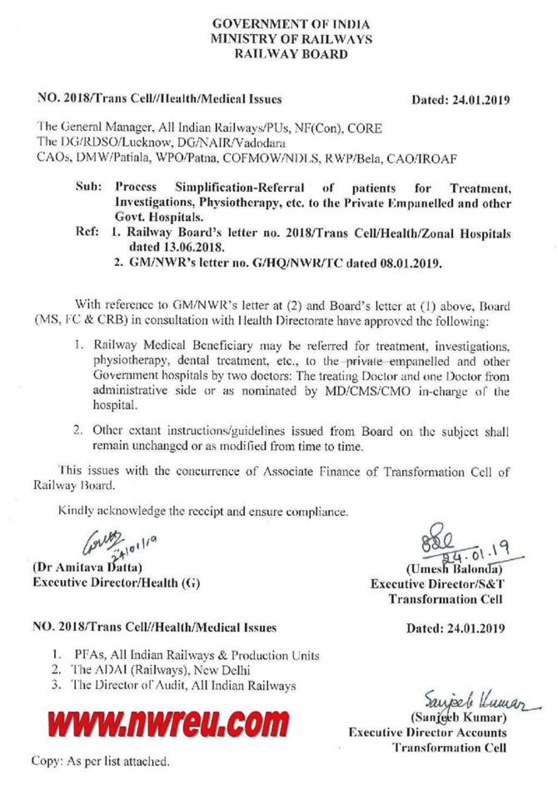 Railway Medical Beneficiary may be referred for treatment, investigation, physiotherapy, dental treatment etc. to the private empanelled and other Government Hospitals by two doctors.